That’s the way Eric MacDonald describes his new home – Ohio. MacDonald, a world leader in 3D printing and additive manufacturing whose research has garnered nearly $16 million in funding, is the first Friedman Chair in Engineering at YSU. And only a few weeks on the job, he already has published an article in the prestigious magazine, Science. The article, “Multiprocess 3D printing for increasing component functionality,” is co-authored by Ryan Wicker, a former colleague at the University of Texas in El Paso. Read the article here. The Friedmans last year donated $2.5 million to establish the full professor faculty position at YSU. 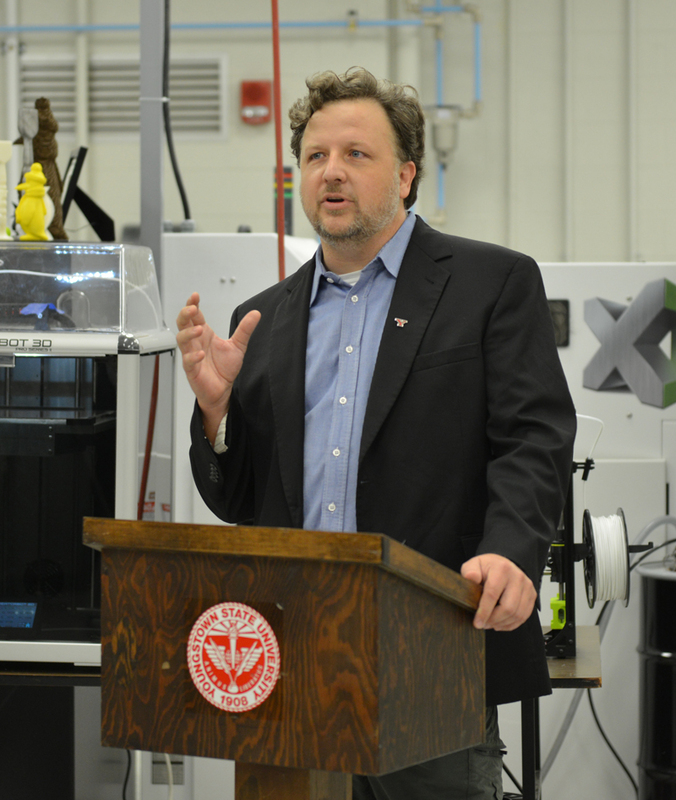 “We are thrilled to have someone of Eric’s stature join the YSU team and to serve as a resource for our students, our faculty and the community in general,” said Wim Steelant, STEM dean. MacDonald comes to YSU from the University of Texas at El Paso.